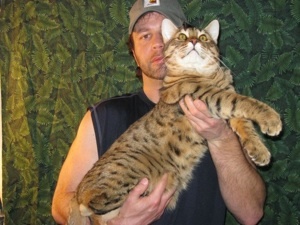 The Legend Leopard is a unique breed offered exclusively by Cutting Edge Cats, to resemble the cross between a Bobcat and Leopard with a super sweet puppy dog personality. Most Legend Leopards attain the size of an early generation Savannah but with more substantial bone and heavier musculature. Coats come in a spotted and/or marbled pattern in a variety of colors. 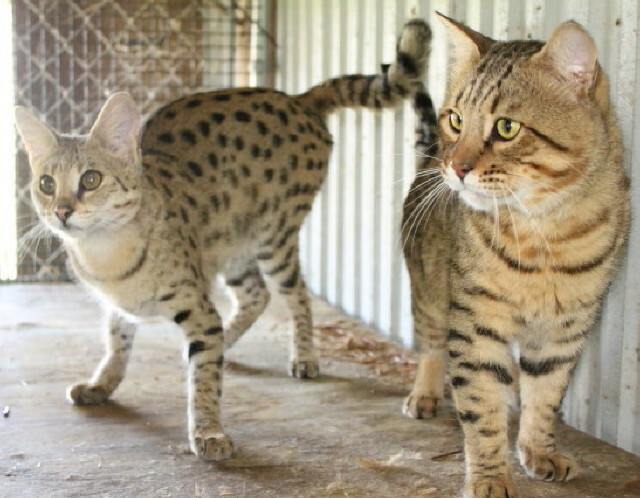 To date, there is no breeder who has confirmed Bobcat blood in ANY domestic/exotic breed of cat. 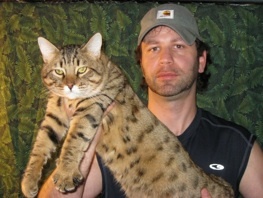 It's only through selective breeding that I achieved my goal of producing a breed that appears to contain bobcat blood. 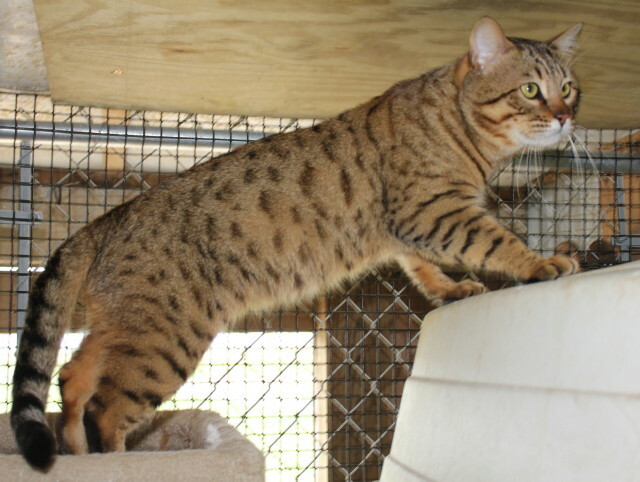 Though my Legend Leopards achieve and sometimes rival the size of the Savannah cat breed, there is no Serval blood in this breed. 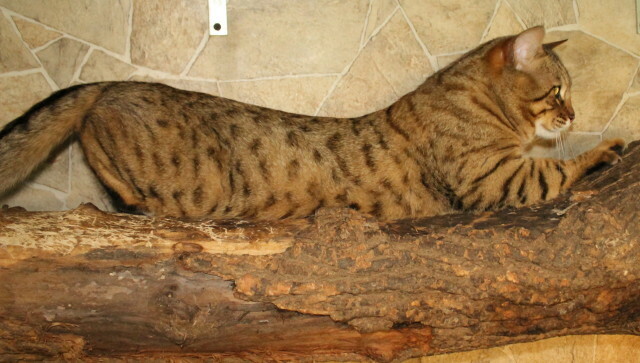 Pictured is Legend Leopard and F1 Savannah at almost one year of age to show size comparison. 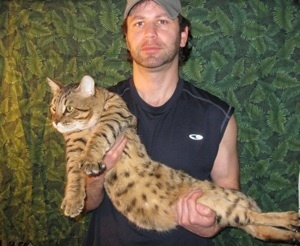 Both have a large muscular athletic build, the Savannah can be compared to a swimmers build whereas the Legend Leopard has a football player build. 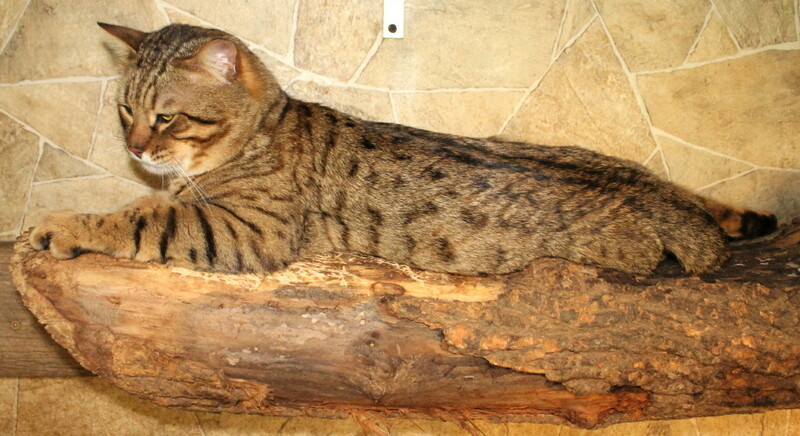 TankMan in a four foot stretch on a log. 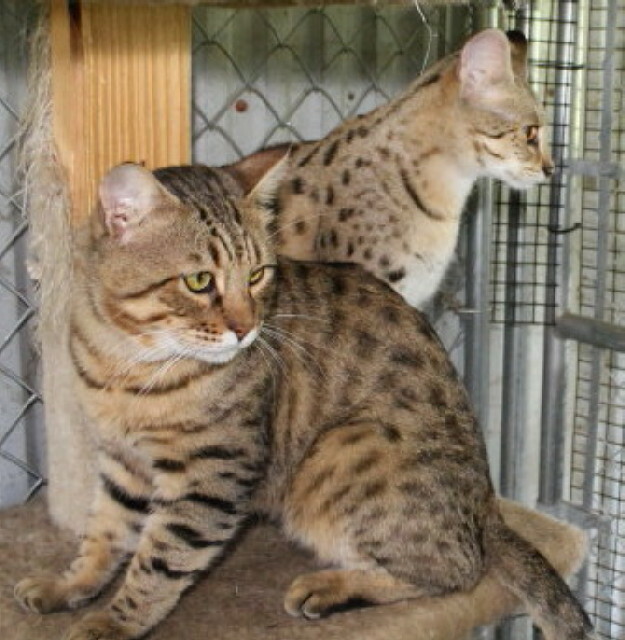 Cutting Edge Cats is the sole cattery producing this breed. 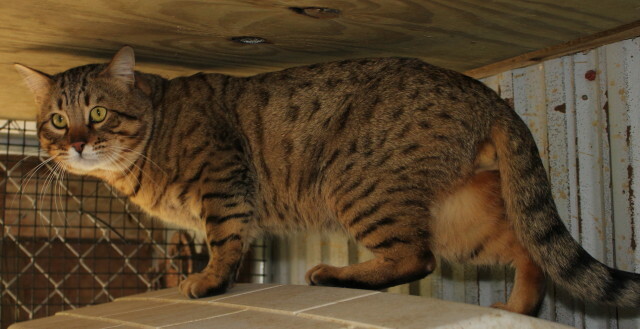 With every litter we strive to improve coat clarity, color, vibrancy and vividness of markings. 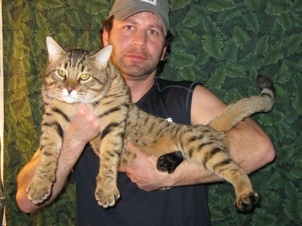 I've been approached numerous times with the same question, "What is in this breed?" by customers and breeders alike. Some of these inquiries have been from unscrupulous breeders trying to embark on the same concept. 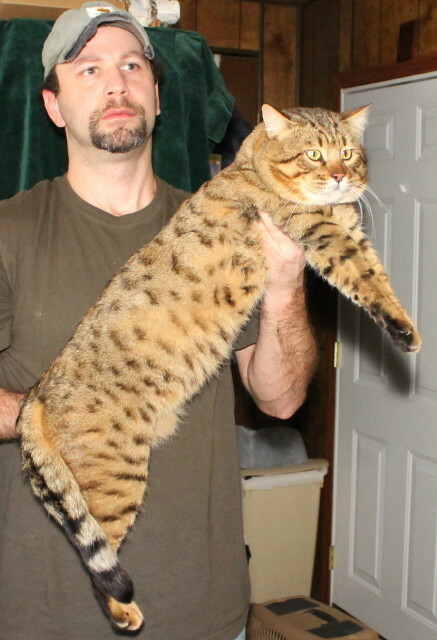 In keeping this breed from getting in the wrong hands and to protect the integrity of my lines I have decided to not divulge the genetics of the cats used in my Legend Leopards program at this time. Your understanding and respect is greatly appreciated. All kittens are sold with a health contract and guarantee. 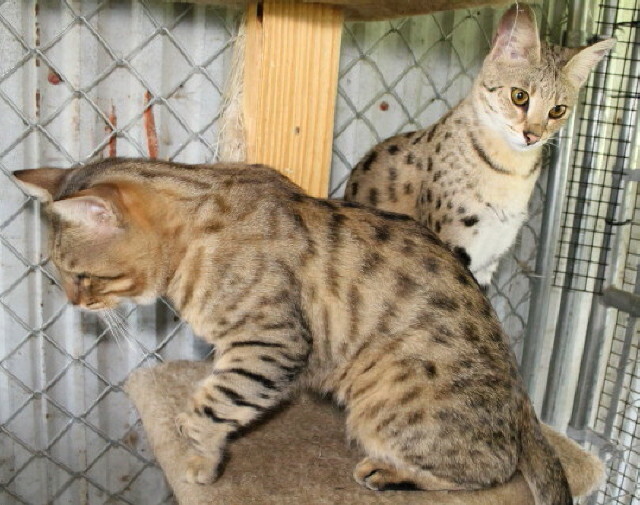 Current on vaccines, wormed, litterbox trained and weaned on raw meats and high quality kitten food. 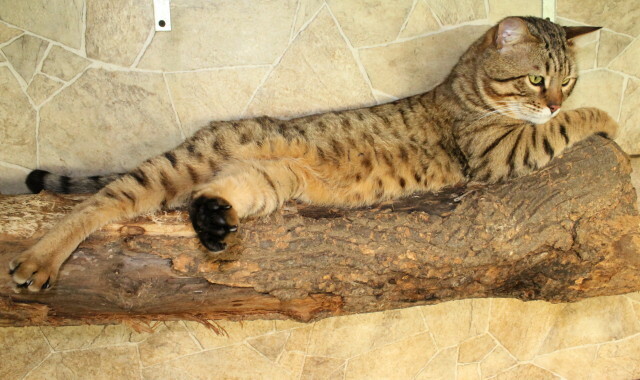 Sweet personality on all these kittens are GUARANTEED from time of sale into adulthood. This is a solid and robust breed. They have such presence when they enter the room. Both males and females have the potential of large size with the females having athletic feminine build and the males a power house bodybuilder masculine appearance. 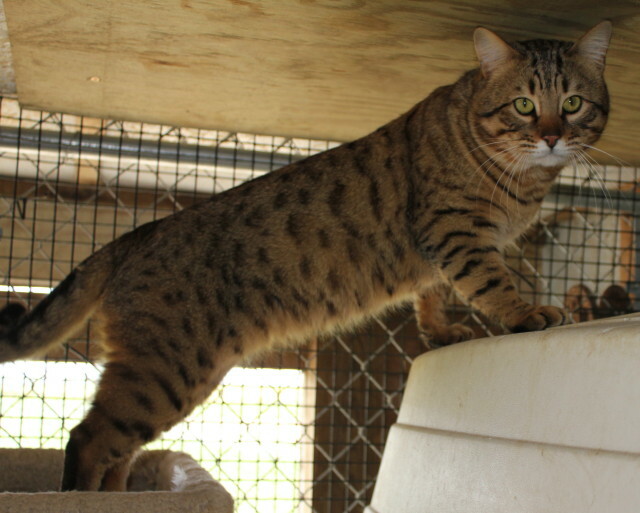 Both genders are extremely athletic and have a substantial muscular build. 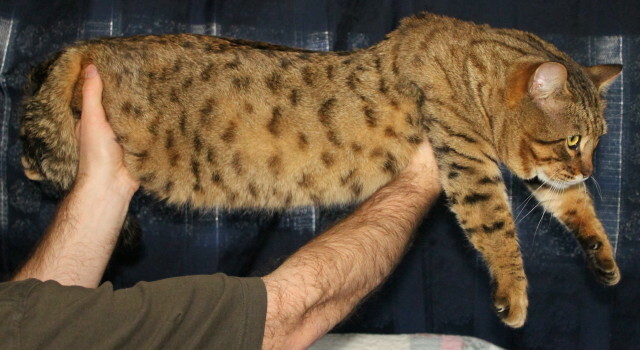 Kitten prices are based on structure, color, markings, and size. Discounts given if purchasing more than one kitten.